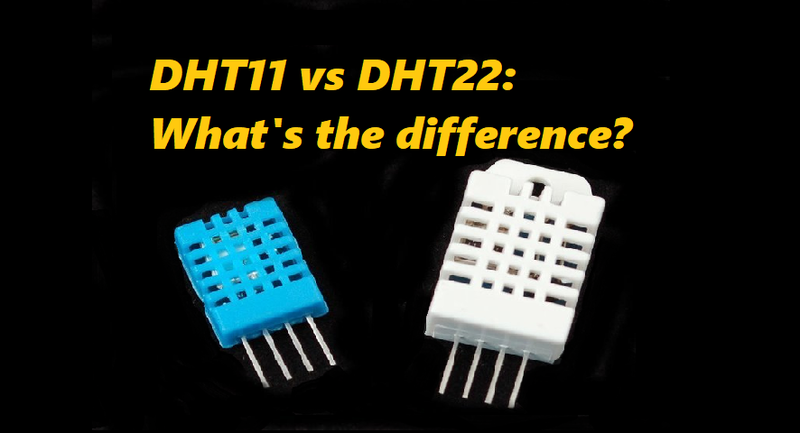 The DHT11 and DH22 are both temperature and humidity sensors, but what’s the difference between the two? Let’s go through the important differences, and how they may affect which one you choose for your next project. These sensors are very basic and slow, but are great for hobbyists who want to do some basic data logging. The DHT sensors are made of two parts, a capacitive humidity sensor and a thermistor. There is also a very basic chip inside that does some analog to digital conversion and spits out a digital signal with the temperature and humidity. The digital signal is fairly easy to read using any microcontroller. Now we will discuss about DHT11 vs DHT22. As you can see, the DHT22 is a little more accurate and good over a slightly larger range. Both use a single digital pin and are ‘sluggish’ in that you can’t query them more than once every second or two. The DHT11 is less precise, works in a smaller range of temperature/humidity, and is slightly slower, but also features a lower price point and a smaller form factor. If accuracy is important for you, and you don’t mind the higher price, go for the DHT22. Otherwise, the DHT11 should be good enough!